Earlier this year, we were invited for dinner by Alex’s sister Eva and her boyfriend Frank. Frank is what I would consider to be a grill master…or GRILLMEISTER (for some reason that sounds way cooler in German). I mean, the guy knows BBQ. He KNOWS it! At this point, I had not had the pleasure of eating traditional baked beans in a very long time. Bush’s Baked Beans…they don’t exist here. That night, they treated us to ribs (reminding us we needed to do this ourselves!) 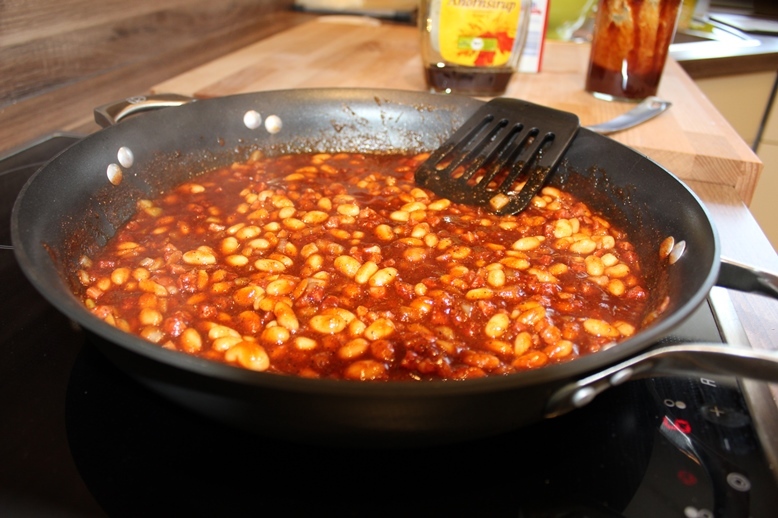 and one of the fabulous side dishes that night were these fabulous baked beans. 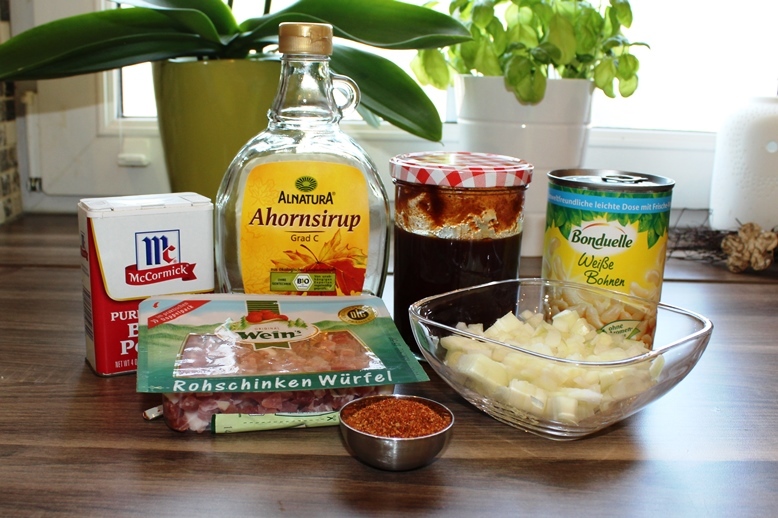 I was lucky enough to score the recipe…so now you can all enjoy it too! 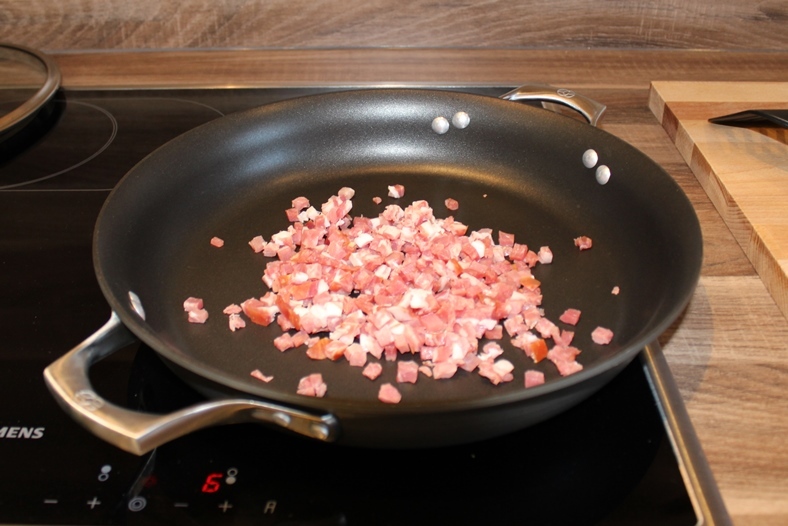 To start…heat a skillet over medium high heat and sauté the bacon. 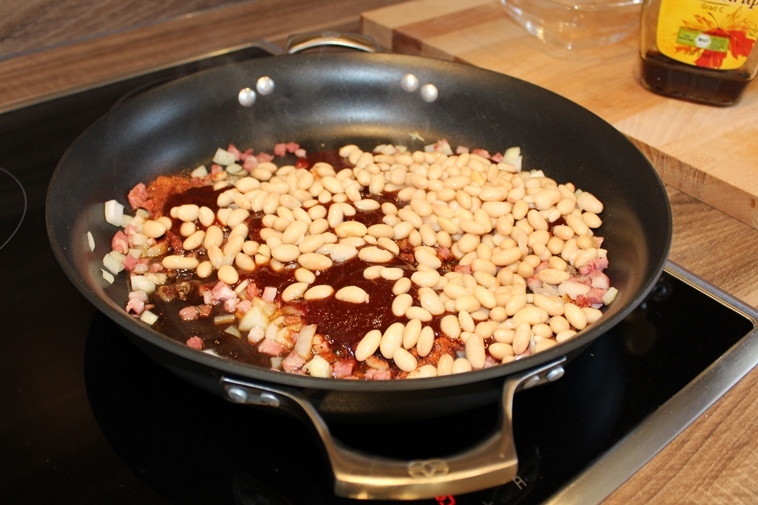 I may lose friends for saying this, but I am fairly confident the first time I ever made these beans was the first time I had ever cooked bacon! Once the bacon is heated through, add the onions and fry for a few more minutes. Heat a skillet over medium high heat. 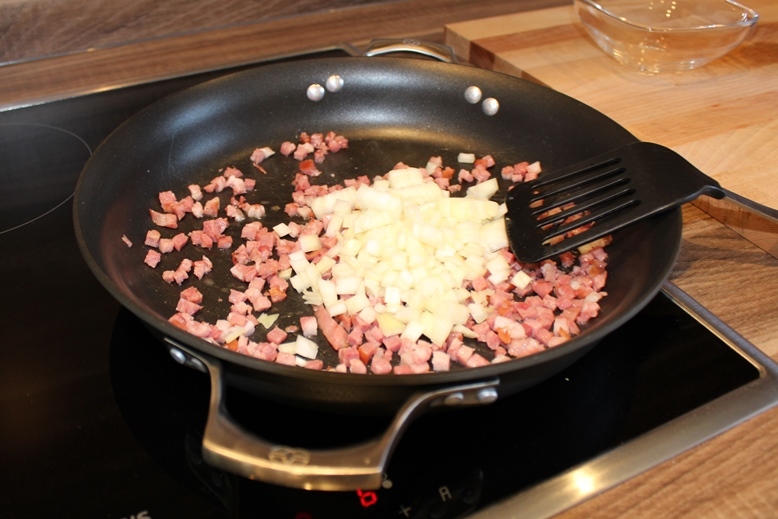 Sauté the bacon for a few minutes, and when cooked through add the onions. Sauté a few more minutes and then add the rest of the ingredients. Continue to cook for 15 more minutes. Enjoy!